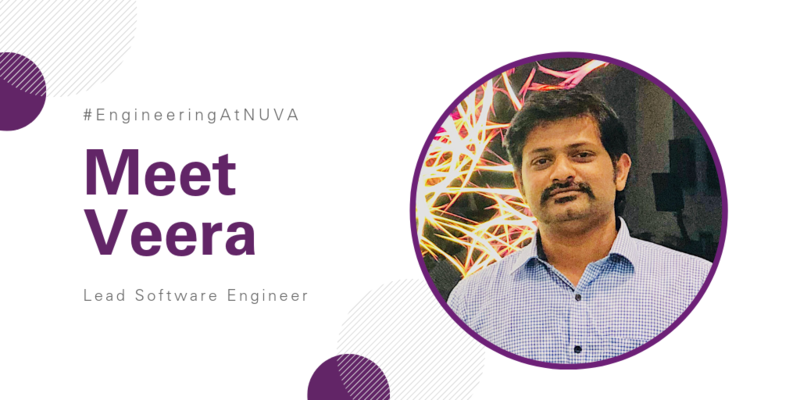 Our next feature for #EngineeringatNUVA is Veera, Lead Software Engineer in the Information Technology Department. I worked as a software engineer for a variety of companies including BEMA, Ingersoll Rand Inc., NACCO, Doosan, and Citibank. I accepted a position at RESMED and this was my first introduction to the medical device industry. After a while, I became more curious about other companies in the industry and heard that NuVasive was looking for a software engineer to join the Information Technology department. I went through the interview process and was able to accept a position on the team. I am really happy to be a part of NuVasive where we are helping patients find a better way to get back to their normal lifestyle. I have been with NuVasive for the past two years. My career journey started in June 2016 as a contractor and I converted to a full-time position in April 2017 as a Lead Software Engineer with NuVasive. On the IT Team, I’ve been assisting the organization obtain analytics data to make the right decisions for business progress. My day-to-day activity includes analyzing health and medical data and preparing business reports. When I joined NuVasive, I felt I had not studied much about human anatomy and it took some time to reach “cheetah speed” in remembering medical terminology. I come from a farming family background. My engineering exposure started when I observed how engineering techniques and advancements were improving farming, machines, and bridges. As a kid, I also loved video games and was fascinated by rockets. I was very interested in rocket launches and computer games back in my school days. My teachers used to say there were hundreds of engineers needed to build the technology behind these computers and rockets. I feel engineers provide better solutions to real life problems. I felt motivated to become an engineer and start solving these problems myself! My advice is to do your research, read books and articles on various options, and finally, just follow your heart. Make sure you love and enjoy whatever type of engineering you select. Never give up on achieving what you want—hard work never fails. NuVasive is a fast growing company—every day brings more data and a set of new challenges. Engineering is unique at NuVasive because you need to have strong technical skills, understand how our business works, and maintain day to day priorities with tight deadlines. As a Lead Software Engineer, it’s not just about completing business reporting needs and meeting tight deadlines. My role is to also make sure our systems are up and running and to provide the best support to those who need my assistance.